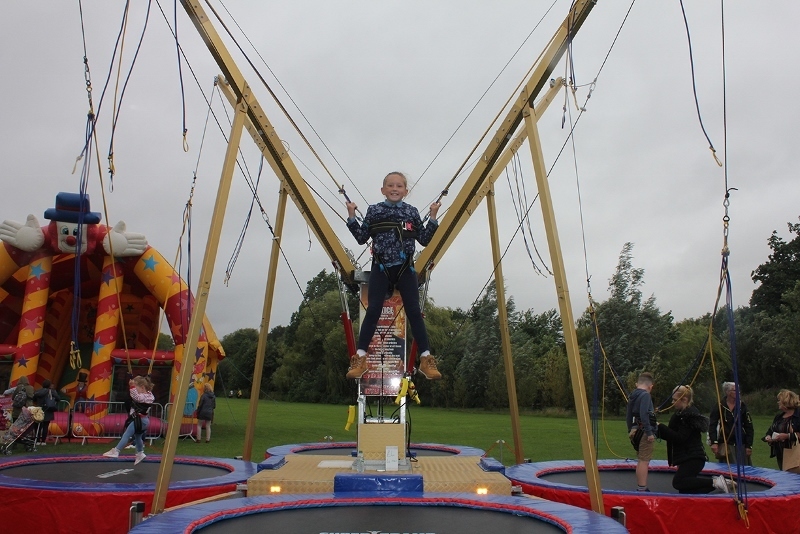 Children and their families defied the inclement weather to enjoy Beacon Park's Fun Day & Teddy Bear Games round up in the Staffordshire city of Lichfield. Despite the odd spot of rain, the crowds turned up in numbers to take part in a range of games and sporting activities during the school summer holidays on Wednesday 2 August. Organised by Lichfield District Council, Beacon Park in the centre of Lichfield played host to a fun-filled day with games and activities, such as giant snakes and ladders, hula hooping, a barefoot walk, a bouncy castle and carousel, a Super Tramp bungee trampoline, and a mini steam train. 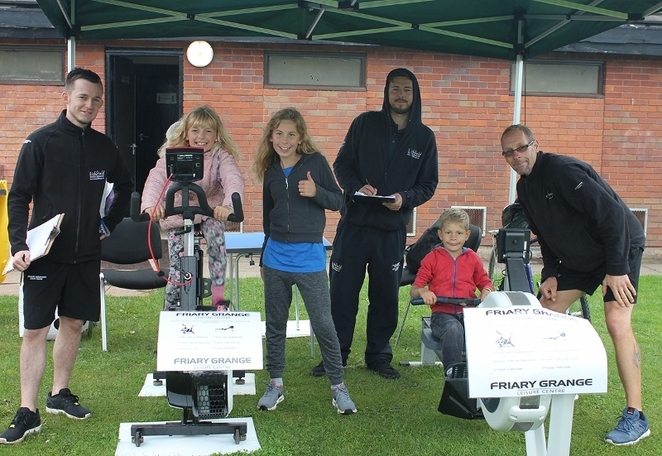 Children were encouraged to bring along their favourite teddy bears to take part in the Teddy Games, including Ted on the Head, the Teddy Sprint, Teddy Wanging and the Pre-walkers Crawling Race. 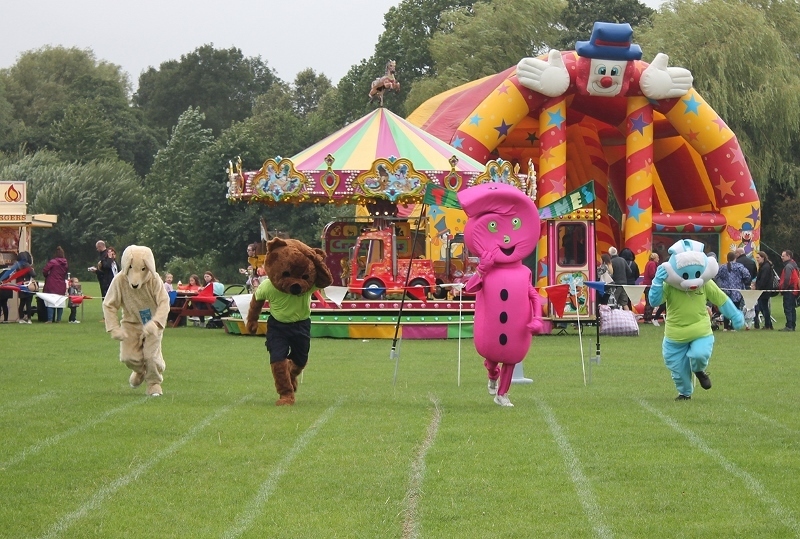 A range of mascots competed in the final race of the day, which featured a giant pink punctuation mark from Health Watch Staffordshire, a man-size dog from Guide Dogs, Warren Beacon Park's giant blue bunny, and Ranger Ted who emerged victorious by winning the race. Councillor Iain Eadie, Cabinet Member for Leisure at Lichfield District Council, said: "It was a shame the sun did not have his hat on during the day, however, lots of families and children still enjoyed the fun and games on offer. Well done to everyone who ran in the Teddy Races and also to the parks team for putting together such a great event." The Fun Day is just one of a range of activities taking place at Lichfield's Beacon Park this summer, including Pond Dip Days on Wednesday 16 August and Thursday 24 August. The hour-long sessions will run each day from 10am to 3pm. It costs £1 for a session, which need to be booked by calling 01543 308869. Beacon Park is also running Xplorer orienteering challenges on Wednesday 9, Tuesday 15, Wednesday 23 and Monday 28 August. Between 11am to 2pm children can follow a map to find a series of markers. It costs 50p for a trail, which will be available from Beacon Park's Ranger Station.